Anna Campbell Hairdressing , multi award winning salon. 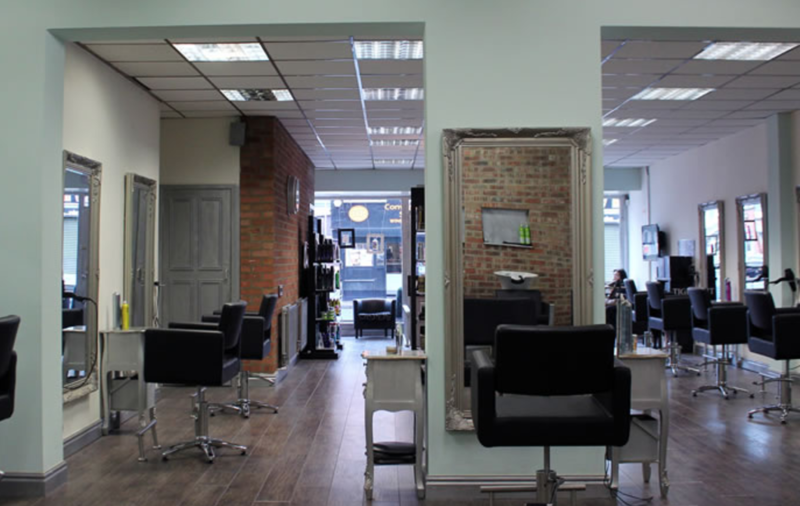 Most recently winner of 5 Star North East Salon hairdressing salon . We believe your hair deserves to look and feel good, and in turn makes you feel amazing . We offer an extensive range of homecare products to help maintain the salon result. GREAT HAIR IS NOT JUST FOR THE WEEKEND !! Gemma explained how best to correct my worn out highlights and how to achieve the best cut for my type of hair. My hair looks so much better and I will be back again. Lovely friendly salon Lucia always works her magic my hair has never looked better. Great cut and colour thank you so much. Another pleasant visit Anna Campbell's, a busy salon but always made to feel welcome. Gemma is a friendly, knowledgeable stylist. She always knows what I want and if you ask her what your options are she will give you multiple options and incorporates your lifestyle to give you consistent achievable cuts. I'm looking forward to my colour next month which I have planned with Gemma as she is really into colour ???? Very pleased with the results as always ! It is always an excellent service in a friendly positive environment! What a lovely review Tina , thank you for visiting Anna Campbell Hairdressing well done jordan ! I was very happy with my hair and got lots of compliments all evening. Jordan was very helpful and professional. I would definitely book back in with her again. Thank you Leanne your hair looked stunning! Always a warm welcome and a relaxing experience. They all work together to make you feel valued and get to know you so you feel like it's great to see you. Did wonders with my thick unruly hair ! Gemma did a wonderful job giving me layers and thinning out my thick hair not to mention the wonderful blow dry and curls which no one else has ever managed ! Thank you !! It was my first time at the salon, I’ve struggled for a long time to find a hairdresser that I like doing my hair. Today I found it! Lucia was very friendly, has gave advice and she’s done a brilliant job. I’ll definately be making another appointment. Thankyou. Absoloutely over the moon with my cut and colour today, Jordan was fantastic after showing her an image of what I thought I would like, and then looking at my hair she advised me what she felt was the best course of action, I feel so much better, and my hair looks 100% better!